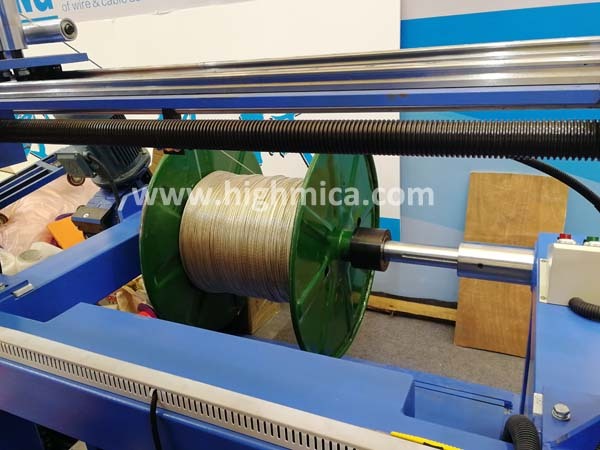 Mica Tape for fire-resistant cable is insulation material made of superior phlogopite mica paper, synthetic mica paper, calcined muscovite mica tape, impregnated with high-quality silicon resin and backed with reinforcing material, can resist high voltage and especially high temperature. STRUCTURE: High-quality mica paper bonded to an electrical grade glass fiber cloth (G type) or PE film as the reinforcing material, impregnated with a specially selected high-temperature-resistant silicon resin. Why use the mica tape? Flexible, high tensile suit for high-speed cable manufacturing. Eco-friendly, Free of toxic gases in a fire. Pass IEC60331 & BS6387 fire resistant standard test for high-quality cable. Have at least 3 hours excellent electrical insulation at Temperature more than 850℃ and Voltage more than 1.0KV, with no breakdown. MICA TAPE is used as fire resistant layer between conductors and out sheath. They are suitable for all essential and emergency system, including power and control cable, that must maintain good property and function during and after a fire. Following photo shows mica wrapped on the cable conduct. 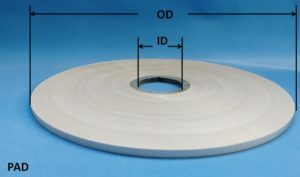 We list the mica tape supply form in the table. 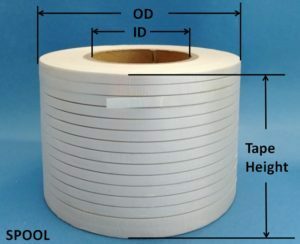 Why choose us as mica tape supplier? Our priority: We import mica raw material and make Mica Paper, Mica Tape in our own factory. We can ensure good and stable quality. We have nearly 20 years skillful technical engineers for both Mica Tape machine Installation & maintenance, and mica tape production on line. 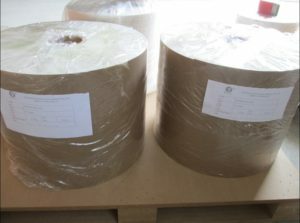 To win the market, we use the best material mica paper, glass fiber cloth, silicon resin, and low machine speed to ensure the good quality mica tape. We have won a good reputation for both good quality and price. We welcome you to tell me your inquiry, quotation, and mica tape sample test demand. Zhongtian Mica (High Mica) established in 2001, is an integrated high-tech enterprise, specializing in R&D, manufacture, and marketing of mica insulation material. 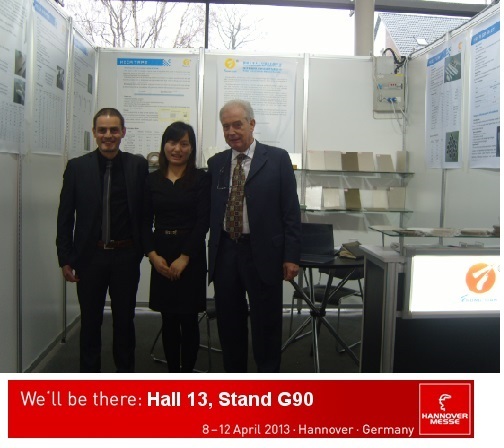 Zhongtian is China directly mica sheet manufacturer. 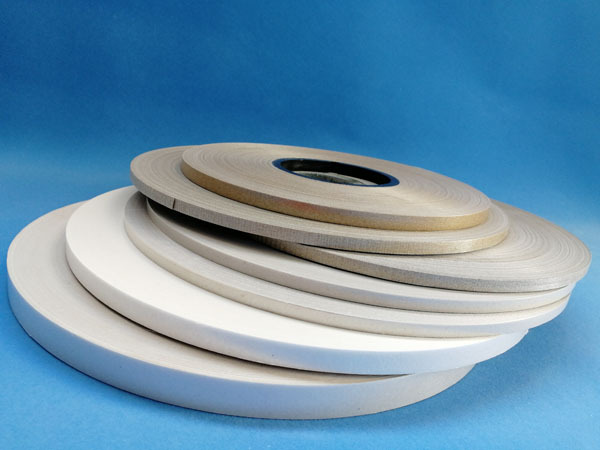 17 years experience make mica sheet and other mica insulation material since 2001, we are a professional China manufacturer specialized in all kinds of Mica products as mica sheets, mica paper, mica tape, mica roll, mica tubes, and mica gaskets. 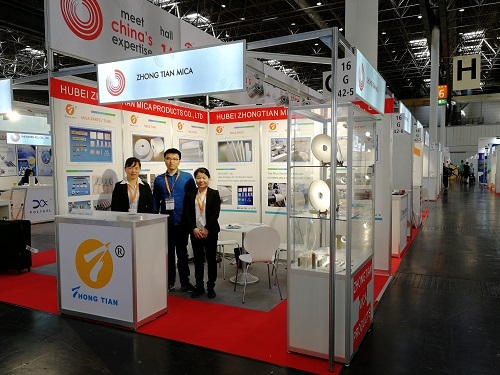 Zhongtian Mica(ZT Mica) participated Wire 2017, the International Exhibition for the Wire & Cable, Rod and tube industry, held by Messe Düsseldorf Gmbh, took place from December 6th to December 9th, 2017. 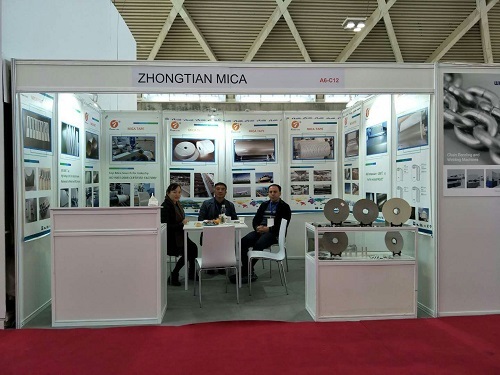 Zhongtian Mica(ZT Mica) participated 2018 WIRE & TUBE DUSSELDORF in Germany, the world’s most important trade fair for the wire and cable industry, from April 16th to April 20th, 2018. 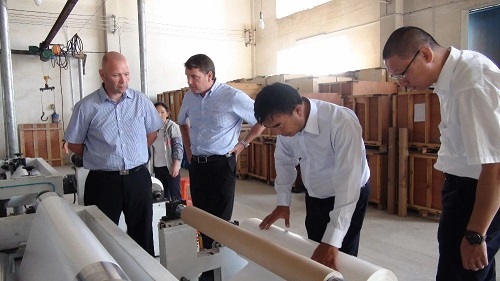 Customers visited our factory and inspected our products line. We sincerely welcome you pay a visit to our factory and discuss all the possible deals. Q: Are you trading company or mica manufacturer? 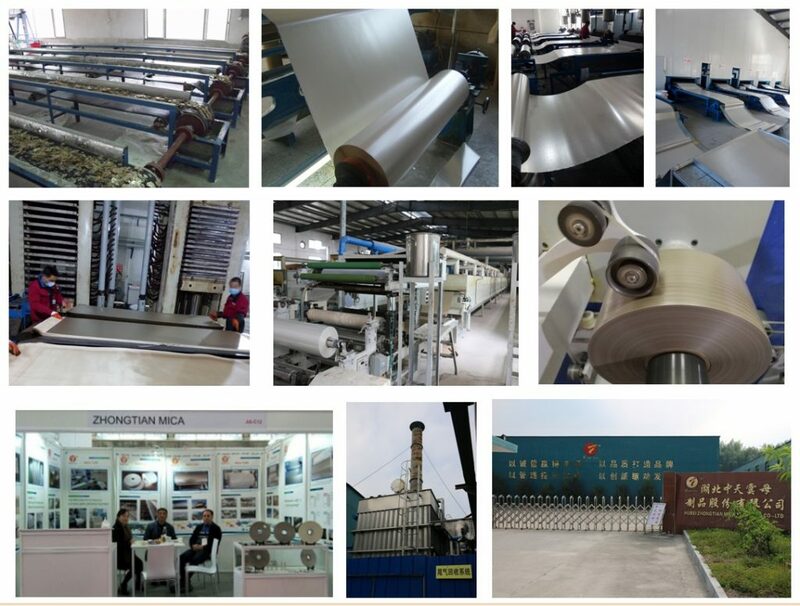 A: We are mica sheet factory in China. You can purchase the mica sheet from us directly. And welcome to visit our factories when it’s convenient. Q. Do you test all your mica products before delivery? A: Yes, we have 100% test before delivery according to customers demand. 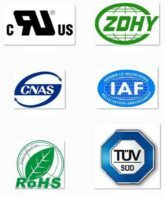 Our company is approved by ISO9001:2008. And we produce mica product and manage the company according to the system and demand. Q: Will you accept ODM orders? A: Sure. We can develop new products according to your specific requirement. Q. What is your price terms and lead-time? A: Price term is EXW, FOB, CFR, CIF, DDU. Lead-time is about 2-3 weeks. We are the mica factory, have plenty of stock for the raw mica material and can ensure the on-time delivery. Q: Do you offer a guarantee for the mica products? A: Yes, we offer one year warranty to our products if stored in a cool, dry and ventilated warehouse. A: Firstly, Our products are produced in the strict quality control system and the defective rate will be less than 0.2%. If there is a serious quality complaint(which didn’t happen by now), we will offer a replacement free of charge at first, and then take defective products back to the factory for further investigation. Welcome to visit our factory and inquiries.